The paper I recently published in the New England Journal of Medicine (linked here, summary linked here) detailed my best arguments against the disease model of addiction. But it also explored new territory, and that’s the topic of today’s post. I emphasized (as I have for years) that addiction is learned. It is not a pathology but a learned package of desires, actions and expectancies that keep leading back to the same reward. We call it a reward, but most of us who’ve been through it know that the experience itself gets less rewarding even as the desires and expectancies continue to strengthen. Is that pathological? No more than being in love with a hurtful partner, or praying to an unresponsive god, or being devoted to a sports team despite their string of losses. When the power of a reward arises from strong emotions and needs, the tendency to pursue it isn’t rational. 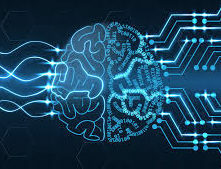 When we seek and find that thing again and again, then, through learning, the synapses of our brain form into dense networks (pathways of connected neurons) that become very difficult to circumvent. Learning on overdrive, through repetitive need-satisfaction, is habit formation — addiction is a deep and insidious habit. 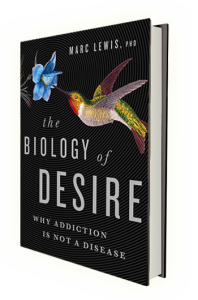 Well, you’ve heard me go on about this before, and my second addiction book, The Biology of Desire, makes the point pretty well. But my recent article came out in a journal read by more doctors than any other journal in the world. To convince that audience, I tried (with the help of Shaun Shelly, who co-wrote or edited much of it) to show that each of the brain changes highlighted by the disease model are not pathological. They’re the sorts of brain changes you’d expect when expectancies and emotions become attached to a specific goal, leading to behaviours that are partly automatic — and partly not. 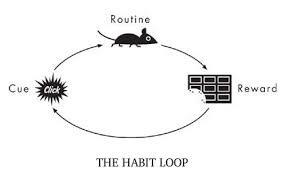 Habit formation results in automaticity, sensitization to some rewards, and desensitization to others. 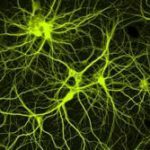 The brain changes seen in addiction are just the biological underpinnings of this natural learning progression. And…they can continue to update; they’re not carved in stone. The new territory I wanted to explore sits outside the brain, in the world, in the environment of the addict (I use that term without disdain or judgement, having been one myself). Our environment, especially our social environment, consists of the people we care about, many of whom care about us, and of opportunities for care, for sharing, for pleasure, for relief, for a sense of fulfillment. These opportunities require certain resources, such as social skills, knowledge, self-esteem (at least a little), financial stability, the capacity to understand others. Opportunities are bridges between our needs and their satisfaction. Resources are the capital we use to pursue them. When people fall into addiction, their environments shrink around them. Good friends, stable romantic partners, available, loving family members, physical comforts such as a safe place to live, job opportunities, and all the rest of it, gradually become less available. The opportunities for getting them back also become less available. Our attention and motivation, riveted now to just one source of satisfaction, lose their connection with the other sources of satisfaction that “normal” people enjoy. I see this as a literal narrowing or shrinking of the environment. Because of what I’ve called “now appeal” — or simply habit strength or deeply learned habitual behaviour patterns — we focus only on what’s in front of us and forget how to go after other rewards. So other rewards fade in availability. They evaporate. They get lost. When I was an addict, I lost close friends, I lost a woman I loved, I lost the opportunity to communicate honestly with my parents, I lost money, I lost a sense of social and physical safety, I got kicked out of school and lost that opportunity (for a while) and all the rest of it. This picture is typical, one way or another. But what blows me away conceptually is how this narrowing of the available, reachable, usable social environment precisely parallels the narrowing going on in one’s brain. My synapses fell in line, in pathways and networks that had a single purpose, so to speak, rather than multiple pathways supporting multiple purposes. This “narrowing” in the brain corresponded with a shrinking or narrowing in my available environment. Neither is pathological. Both, especially both together, create a kind of prison. Perhaps of interest to those into philosophy or psychology, this tendency has been studied as a universal feature of living organisms. The sensory and behavioural specialties of a species get synchronized with aspects of that species’ environment. Both change together. This can happen over evolutionary time. But it can also happen at the scale of human development, as I’m talking about here. The study of this process is called “embodied cognition.” Google it. One more point made in the article that Shaun and I thought was crucially important: people who study addiction know that there are massive correlations between early adversity (e.g., neglect, abuse, poverty, racial segregation, parental depression, parental alcoholism — in childhood or adolescence) and the probability of becoming addicted later in life. When thinking about how the narrowing environment corresponds with the narrowing of brain function, we can see that the addict’s environment starts off narrow! Kids with happy, healthy social-emotional worlds, who have not experienced trauma, rarely become addicts. It’s really so simple. The narrowing begins early, sometimes even before birth — look to the family of origin. (Gabor Maté has emphasized the impact of adversity in early childhood. Bruce Alexander targets sociocultural adversity.) This helps us understand how environments and brains influence each other all the way along. If your childhood is hampered by obstacles and dead-ends, whether emotional, social, financial, or some combination of these, the narrowing has already begun. Great post Marc! I found the observations in relation to the simultaneous narrowing of neural connections and social environment etc interesting. I like your work and Maia Szalavitz’s too but don’t feel as strongly in respect of not using the language of illness or disease in relation to severe addiction. I understand your behavioural learning explanations but when they lead to such a destructive condition that often kills I don’t think it’s unreasonable to use such medical terminology in severe cases. It often seems just an argument about semantics to me as the various causal pathways to addiction seem to be well understood. However, I can accept that language is important in terms of its impact. It seems to me that if the brain is narrowed before a child or adolescent has tried their drug of choice, that speaks more to the model of disease? Brain structure is constrained by all kinds of things: genetics, epigenetics, but especially early environment, including the intrauterine environment. That’s a big one. At which point do you want to call any of these constraints a disease? This process of constraint is a natural part of the brain’s development, isn’t it? A baby’s brain is a seething tangle of signals going in all directions, which are slowly routed and pruned to form a (somewhat) structured, functioning system. Addiction is just one of the patterns that can form in the brain. Babies raised in healthy relationships form healthy patterns. Exactly! Constraints are necessary, but some constraints are far more suffocating and frustrating than others. Parents who have the resources to do so will try to constrain their kids’ environments in a way that is limited, flexible, and rational. Of course this isn’t so easy in adolescence. Aha – I paid attention when I was reading your books! In my experience, bad neurological wiring created in childhood can be slowly undone and re-routed in adulthood, but it takes a lot of work. I’m a recovering addict. I always thought I grew up in healthy family environment. But did I? In Rehabs I couldn’t relate to the others when they spoke of their childhood. Mine, as I remember was great. But, I didn’t fit with any clique if you will. So, I blended with all of them. Drugs caused me a lot of trouble by late 20s. Then again in 40s. 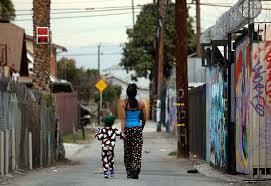 Some families can look healthy on the outside, especially if there’s no obvious problems like poverty or violence. But the relationships can still be lacking. Much evidence is coming out now, that children need a lot of deep connection with caregivers to support their psychological development. I don’t blame parents; providing the psychological scaffolding for a child’s development is a hard job, often not well supported. Probably made harder by living in an atomized society which emphasises material success over human connection. this is a fab article. Whilst I do understand why people choose to call addiction a disease (it kind of removes some of the stigma as it is seen as medical problem), I think that it is not a disease as such – I like to think of it as a “disease of society”. Whilst Al anon/Naranon push the 3 c’s of i didnt cause it, cant cure it and cant change it, I think they are wrong and society itself has to look and take responsibility. As you said, the majority of those who have SUD, had traumas in childhood – even if you look at the majority of the rich and famous who are struggling or have died from sud, the majority of them came from either broken homes, or suffered abuse/neglect etc). So, whilst often, the partner of someone suffering did not cause it, if you look back through the history of the person suffering, their early environment certainly impacted and predisposed that person. I am a big believer, that if a child is not being brought up correctly but they have one adult in their life who shows them love, affection and self worth, then that person can have a huge impact on changing the predictable path of a young person. So even if that young person has experienced a trauma, they have been given the tools and the love from someone to allow them the possibility of that trauma not defining their life. In short, environment is key to halting cycles of addiction within families etc and society as a whole needs to take responsibility for this and take action. More compassion is needed in this world. Correct. So the disease label is an economic entity. The disease terminology is 12 step theory. Addiction is considered a mental health disorder which is defined defined in the diagnostical statical manual (DSM5) for billing purposes there are 11 crtiterias for determining the severity of a substance use disorder. So if the narrowing environment goes paralells the narrowing brain how to reverse it?? Could this be usefull in helping addicts?? The most obvious strategy seems to be to stretch out the environment: provide opportunities, links, interpersonal bridges, and especially connect the present to the future. Johann Hari says the opposite of addiction is connection, and I agree. I suppose neurosurgery would be another option, but obviously well beyond our technical and moral skills. Oh yeah, and pharmaceuticals. Unfortunately there are very few that are effective for most addictions. More opportunities for better jobs ( of course businesses don’t want to take a risk on 2nd chances in the U.S. I understand. Changing friends is important for addicts. Or no friends for a while isn’t so bad. Join groups, volunteer, helping someone else, elderly….enlarges the addicts environment. That’s what I’m working on. I agree. Any sort of change is, by its nature, an increase in flexibility. But we have to help people make changes that don’t spring back like a stretched rubber band! Both my sons, 9 and 7 years old can become addicted to videogames, if I let them play non-stop. They won’t eat, sleep to play video-games. They won’t do it if they are at the seaside, playing outside. They need a rich environment, where they can see new things, meet new people, be physically active. Cities are very dull environments. Beside this, pollution and vaccines are causing brain inflammation in susceptible children and are making them hyperactive as well as predisposed to addictions. Rita, I question your last sentence. But the rest makes sense to me. A rich environment is exactly the opposite of what I mean by a narrow environment…the kind the often leads to addiction. But of course, most families are somewhere in between. We can’t all be playing at the seaside every day. So there are other ways to fight addiction besides striving for maximum “richness” — and I think the main one is saying No. The only way kids learn to say No to themselves is if their parents say No to them and then pass the baton. In ACT, I think this is called learning how to be guided by one’s “values”. Yes, NO. I made the mistake of allowing my son to be on Xbox or worse…the You Tubers playing Fortnight, as hr ead quirt. Hr had ADHD. Niwx my ien doing, Um having difficulty with his outbursts when I take them away. NO No I say. Patenting is not always pleasant. I am sorry I am not responding directly to the above point. But I wish to highlight the issue you focused on previously entitled “combining micro and macro routes to abstinence: For the psychotherapeutic process to proceed,for treating addiction, it appears essential that the addicted individual must gradually internalize a good object,(which shame makes very difficult) described as compassionate, and concurrently, while learning to risk vulnerability gradually letting go much of the shame of the addictive exciting object via learning to instead to depend on the good object. A gradual trading of dependency between the exciting object to the good object. My point here is 12 step programs via the concept of a higher power introduce the notion of a good object to depend on externally, but they do not help bring about the internalizing of this object to empower the individual to evolve new forms of growth. This leaves many individuals overdependant on over ideal external parent (higher power) to depend on growth. The implication by branding the person with powerlessness in relation to his addiction helps prevent or at least impedes a lack of self initiated essential unfurlment. At best 12 step programs only start a therapeutic process that does not bring the person up from strongly taught helplessness and discourages self initiated growth(an internalization of the good object) which is the cornerstone of the new florishment of the person’s potent. This is why many people relapse in this group oriented program. There must be an individual component for this program to work. In re 12-step philosophy: nothing says a higher power has to be external to the self. nor even that it be a ‘good’ object. It might be simply the recognition that there are forces in the universe good, bad, and indifferent– laws of physics, historical legacies, social injustices, the unity of all things, genetic inheritances, accidents of fate, the collective unconscious, what other people think and feel –that one has no power over, It might be interpreted as: the unity of all things; the web of existence of which I am a part; a force for good; the persistance of love despite the pointlessness of existence. Maybe I have been unusually fortunate in my 12-step journey, but I find so much of the critique about “12 step programs” is actually a critique of literalistic and non-experiential interpretations of it, or of the limited interpretations of it that one may encounter through interaction with particular individuals or groups. Or a justifiable reaction to experience in “treatment” that flogs/forces 12-step participation, which is structurally and ideologically antithetical to 12-step traditions. The “disease concept” is itself a literalistic intepretation of what is in the text a metaphor, the way Bible stories are metaphors, by professionals adapting it for reasons of their own such as securing research funding or legitimizing medical treatment or getting hospital beds allocated. Now Stanton Peele et al climb on and adapt this same inaccurate and literalistic interpretation for purposes of dissection and dismemberment. 12-step bashing has become a useful straw man to knock down, an Other to define ourselves against as we seek to progress in our thinking about treatment and recovery. I don’t have anything against evolution in our thinking about addiction or recovery. But, I think a lot of what people criticize in the programs arises from dumbed down interpretations of them that don’t fairly represent what makes them useful ‘practices’ for many. Nor true to my own experience as someone who has journeyed in the 12-step realm for 32 years in 3 different fellowhips, or the experiences of many beloved traveling companions, who are among the most original, expressive, self-aware and individuated people I know. Don’t mean this as a personal “attack.” Marc and I have argued about this too. I seem to have had no influence on him either! But I persist because I have gotten so much out of the programs, and don’t want inaccurate characterizations to achieve critical weight so as to discouarge/alienate smart people who might actually find therein a lot of help and hope in growing past addiction. Well said Lisa! I’m also a thinking member of a 12 Step fellowship and have been so for the past 27 years. I agree with your above comments 100%. “A power greater than ourselves could restore us to sanity.” Perhaps I am being overly literal, but that seems pretty clear. In all the AA, all over the East Coast, and all I’ve read from hundreds of people who have been in 12 Step groups, no one has ever said that they have had an experience with 12 Step groups that encourages one to believe the higher power can be within the self. That is systematically discouraged. Your experience was truly odd. In fact, most people came to the SMART Recovery meeting I founded and facilitated because they wanted to find the power within themselves, not externally, to recover. Well April now you can’t say ‘no one ever said’ anymore! Yes I guess it is easy to interpret “greater than oneself” as meaning ‘outside oneself,’ and to interpret that as meaning one is supposed to surrender to some Other Being outside the self. But…those are interpretations. Self might mean: superego, and the power greater than it, is love. It might mean: will, and the power greater than it is, the laws of physics that make it impossible for me to will myself to fly. For me, the transformative idea of my 12-step experience was that I wasn’t going to figure out how to live so as not to be miserable and addicted, by thinking more and harder about it. Intellect/intelligence was how i’d navigated up to that point; it was my great strength, the root of my identity, my pride and joy, my vocation, and yet I was unable to think my way out of my obsession to use; I was unable to think my way into happiness. So to me, surrendering to a ‘higher power’ meant learning to stop literally wracking (and frying) my brain to figure out how to fix me, and open up to other kinds of guidance. The idea that I could learn through experience, through feelings and intuitions, through action, through making mistakes, through what others had to say, through connection to others, through the passage of time..was revelatory, and there was no Jesus or Heavenly Father anywhere involved. I have never felt pressured by anyone in NA, AA, or Al-Anon, in the many thousands of meetings I’ve attended, to understand ‘higher power’ some other way or somone else’s way or any particular way. Certainly not ‘systematically’, whatever that means. The word ‘God’ has so many connotations in our patriarchal Christian culture, it can be offputting, and when I was first getting clean honestly I just kind of ignored it and paid attention to the comfort I was finding being with other people who understood my dilemma and were trying new things to move forward in their own lives. Now I think of ‘God’ as a shorthanded way of describing the miraculous and inexplicable fact of my own existence on this inexplicable planet/universe, and the interconnectedness of all things. That is what ‘higher power’ means to me, but the ability to live in awareness of this, and act in accordance with it–aka, with some humility and gratitude and a sense of perspective about what really matters in life and is worth my attention and care– is all internal to me. I’m very happy that SMART recovery is there and works for you and for others. But I do think some of the critique of 12 step ideas, does arise from interpretations of language that are much narrower and more literal, than what the language means to convey. I found my way by learning that I had much too narrow concept of what my internal resources consisted of, and that there was more to me than my intellect understood; and that there were external resources too, and nothing wrong with availing myself of them. You could be speaking for me! Yes Lisa, I Iooked in the local phone directory (no internet back in 1991!) and then went to a meeting of my own volition. I didn’t go through treatment as many do nowadays, which in my opinion can, and often does, undermine 12 Step culture. My home group has had difficulties in this respect which some long-term AA members struggle with, but the changes are not all bad and some maybe for the better. Loved the article and your blog. We are birds of a feather! And glad that your home group has found away to integrate/deal with the treatment clients. My daughter is in program too in Florida, which is rehab central, and busloads of clients–most of whom are not only coerced but transient–have diffused meeting culture to a sad degree for her…. Here’s hoping part of the deleterious affect will ebb as treatment evolves, and more professionals begin to sign on to the principles of motivational interviewing, rather than 12-step-facilitation, as the primary treatment structure…. When I turned 18, I borrowed $150 from friends and caught a ride cross country to Los Angeles. That emigration, in my mind, made a world of difference. Today, at 72, I hold three graduate degrees and teach and live in ways oriented towards helping as many other people as my brain’s and body’s threat detection circuitry will allow. My time growing up in the projects was profoundly instructive – offering a first-hand view at the forms human suffering can take. Oh, and I had and have a lifelong addiction to sugar. Somewhat manageable on the scale of things I could be addicted to. Fantastic story. Thank you for sharing it. I speculate the thing that made the difference is the relationship your mother created between herself and you, that supported the development of your sense of self. I think the narrowing that leads to addiction is caused by a lack of this healthy connection in early life. Your speculation is right, Karen. Only the person wasn’t my mother. It was my big, seven-years-older sister. My mother was a bed-ridden alcoholic. She threw my sister out of the house for getting pregnant when I was nine. She had a psychotic break and was hospitalized when I was 16. My now 22 year old sister returned to the family and did what the State of Connecticut required so that she could become my legal guardian. She later opened a foster home of her own for unwed mothers. Quite a heroine’s journey, hers. At least, I try to understand. But I would bet a few things that if I showed your explanations, such as what I copied into this reply, to addicts I know, clean or using, and to professionals, in any choice of languages, a majority would not not understand your writing. This is because the model of habits, pathways and feedback that you profess is very difficult to understand if you are not a neuroscientist. What a relief! Who cares if it is not true. Not surprising that this is the backbone of NA and AA 12-step programs. You don’t need an IQ of 120 to understand; anyone can get it, from gifted people with low self esteem to arrogant morons to vicious jerks who become president. Hi Bobby. Simple explanations are not always the most useful. A few hundred years ago we might point to evil spirits. Yes, the disease model works for some. For others, it’s a yoke and a sentence. Nowadays, its only strength in my view is that it can buy treatment from a uniquely screwed up public health system in the US. If that’s what it takes, then okay…for now. Better than shooting addicts in the Philippines. But there’s a whole other side to this story, highlighting spontaneous recovery, psychotherapy, mindfulness and much else. Medicalizing addiction doesn’t accomplish much but provide a dubious identity for addicts (you’re sick, we’ll take care of you) and an algorithm for paying for treatment that usually doesn’t work. disease entity. For example, there is no such thing as heart disease. It all begins and/or ends with the “image”, “idea” or “sense” of the “Self”. Jiddu Krishnamurti states that the Roots of Psychological Disorder begins with the Self! One simple example could be “poor me, poor me, pour me a drink. One becomes “inwards-bent” to such a degree, that the scaffolding is such, gratification with minimal delay, is a means to the end. Rather or not “Addiction” is a “Dis-Ease” or a “Learned Behavior”, it still remains that it gets rooted in the self. Is there a way of looking at addiction without the self distorting the view. If the fact that the self is “conditioned” and through a “conditioned brain” one views “Addiction” is there actual clarity. There is definitely a form of “dis-order” in a person who, despite the consequences, continues to consume a substance or partake in a particular behavior (gambling etc.). To gain order, it seems, one has to take a serious and genuine look at disorder without distortion and/or conditioning. For me, without “Clarity” I would still be caught in the trap, disillusioned by my own disorder and addictions. So recovery is a lot like facing death…with surrender rather than fear. Looking outward from the self, recognizing the self as this little vortex of acts and emotions, and seeing the bigger picture. Then the self does not require so much “tending” — because it’s impermanent and all its states are impermanent. Then making yourself feel better is no longer an all-consuming, all-absorbing project. Hi Marc…I appreciate your comment, which, “hits the nail-on-the-head”, in many respects, where you say the self doesn’t require so much tending. For me, it was only in the “self-help groups” that I actually became aware of the trap the ego, “king-baby” and complete self absorption as it’s own disorder. Nice. This suggests an explanation as to why the dreaded AA works for some. For a bottomed out addict the sponsor and regular meetings represent a lifeline, a reconnection to social life and a commitment to accountability, which both have been lost as the addict’s world contracted. Thanks for making this clear. I’ll try to find your journal article. Let’s take a roomful of active addicts and enrich their environments. Then count the number who co-opt the enrichment, exploit it, and incorporate it into their addiction, and count the number who use it as an escape hatch. I’ll grant you that some will find a glimpse of hope in the enrichment and follow it into recovery (through spontaneous recovery, mindfulness, and the like), which involves a giving it up (easier to quit than control – thus the powerlessness), but I’ll bet most won’t because their inner resources are devoted to feeding the beast. And, of course, Johann Hari has it bassackwards: connection is the problem; reconnection is the remedy. Gary, above, gets at it with talking about the ‘self’. It is interesting to think of addiction in terms of dissociation: Dr Jekyll/Mr Hyde. Speaking as the parent of an adult addict, it is true that addicts will deconstruct the connection environment and use it to go back to being addicts. Sadly, this has been my son’s experience. I believe Marc is correct that this is not a disease. As we gain a greater understanding of what it is, maybe treatment will become clear. I like Nicolas’s idea of a study of connection and enrichment but as anyone who has ever loved an addict, what we have to offer doesn’t compare to what they want. Keep up the good work. People are listening. Ah, Nick. Maybe with your Jekyll and Hyde comes another dichotomy: seeing the glass as half-full or half-empty. Of that roomful of active addicts, even if most aren’t ready to quit, we know that, statistically, a great majority will quit eventually. Whether we call it connection or reconnection is really the simplest kind of semantic dance. Of course it’s reconnection…as is most of life lived with some degree of energy and courage. Starting around age 4. Indeed we are disposed to hold to our beliefs, but most of us are also disposed to avert predictable pain. So…we often give up beliefs that keep hurting us…eventually. Are you implying that addiction is based on belief? Then it can’t be a disease, can it? The disease vs non-disease perspective seem a lot like an argument more akin to nature vs nurture. You state that epigenetics/genetics play a factor along with upbringing (including in utero)/habits. Seems like most diseases have this same combination of controllable/uncontrollable factors. Many cancers, diabetes, etc, etc. We are disposed to certain diseases through genetics/epigenetics, but we have the ability to affect how/if those will manifest by our behaviors – diet, exercise, social environment, etc. What is your solution to discussing in utero root causes with a client? Is that even possible and what good would it do? Given that a female baby has all the eggs she will ever have at birth… some of the epigenetic/genetic root causes could go back to a person’s grandparents? I agree that there is determinism involved in traits, such as impulsivity, and those traits impact on the odds of becoming an addict. Neither the genome nor the epigenome causes addiction. So, yes, the same odds situation is at play in disease. But that doesn’t mean that they are the same thing. There is no amount of will or effort that eliminates an aggressive cancer or kidney stone. But in severe addiction, willpower and intention are the most potent weapons. My solution? Change the odds ratio. Genetics and epigenetics affect nothing more than probabilities. (except in cases like Huntington’s Disease) Probabilities can be altered by behaviour in many diverse domains — but that doesn’t make those domains identical. Marc, congrats on publication in the august NEJM! I am heading over there now to read your Scholarly Article. FYI I begin an internship Monday as an ‘addiction treatment professional’ at a residential facility in Queens serving dually diagnosed inner city adolescents. What in the actual f*** am I doing? Meanwhile I am in school where I am learning very little about addiction and cite you frequently in my papers. Onward! We’ve connected by email. All I can say is thanks for the endorsement and good luck with those freaky teens. Maybe all you can do is help them stay alive for a few years until their brains start to work better. And simple cognitive tricks. Not “say no to drugs” obviously, but “delete your dealer’s number from your smartphone”. Teens often have trouble thinking through simple pragmatics. months later and developed a nasty habit called alcoholism very quickly. It took many years to developed through it. Thanks for this post Marc! It certainly resonated with my experience. HI Christian. That’s a very interesting twist on the model. So “narrowing” need not be through poverty and family distress — it can also be via too much of something deemed “healthy”. Indeed, developmentalists often talk about the benefits of living through challenging and frightening experiences, because they increase resilience (flexibility) through a sort of vaccination process. You experience excesses that make you less rigid — you don’t have to live in an oxygen tent because you’re antibodies are ready for action. Show me someone who has not had adversity in their life? 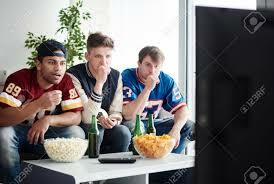 Some who live in the same households with the same environment never become addicts, while their siblings do. I still believe it is a choice , but have a difficult time comprehending, the narrowing of the brain and environment in early childhood , when one sibling survives and never becomes an addict and the other does. I think genetics might have something to do with this.I still believe addiction is not a disease and these rehabs are all about money, and the addict must choose to quit as he chose to use. I really think it’s that simple, it comes down to the individual to choose to quit. Some adversity is character-building, but if it’s too much for the child’s developing brain to handle, then it becomes destructive. Also, I don’t think it’s adversity per se that usually causes the damage, it’s a lack of healthy connection with supportive adults, that would help the child through the adversity with his psyche intact. Children raised in the same family don’t necessarily have the same experience. Each person in a family takes a different role – good kid, bad kid etc. (these can also be gendered), so eg. the “bad boy” becomes the addict, etc.. Throughout all Marc’s blogs and the comments on them, choice is discussed – it is a part of the story, but not the whole story. And also – birth order has an impact. The first baby tends to get more “facetime” with the parents, because it’s all new, and they’re unsure of themselves as parents. It is now thought that this extra facetime / connection explains why firstborn children tend to be higher achievers. Another thing you might consider is that … no two people ever grow up in the “same household.” Each one brings their own lifetime of unique experiences inside and outside the house to every interaction with every member inside the household. All kinds of diverse and developmentally different experiences at different times happen to one member and not another inside every household. Absolutely right. Psychologists call it “nonshared environmental influences.” Check out this post I put up years ago: https://www.memoirsofanaddictedbrain.com/connect/a-genetic-blueprint-for-addiction/ It features Lemon Anderson, a poet from Brooklyn. His parents met in a methadone clinic, all his sibs were addicted to heroin, and he never touched drugs. Why not? Because he looked around and saw what it had done to his family. Genes are just influences — they are almost never determinants. Category 1: Maladaptive behavior developed in response to Adverse Childhood Experiences–to escape, self-soothe, or imitate. Children being brought up in positive, supportive, loving, and stable environments who were NOT exposed to hardship or adverse experiences (partly by luck), have no opportunities to develop coping mechanisms. When that child leaves that environment, and they are Category 2, I think this puts them at high risk for addiction. I’d be Category two, thus when I read the line “Our attention and motivation, riveted now to just one source of satisfaction…” the word “now” jumped out at me—implying that at some point in my past (post childhood), I’d experiences sources of pleasure and fulfillment that could compete with the pleasure/rush/relief of the addictive behavior. It’s also just SO disheartening to hear experts insist that upbringing or like, your moms moods while you were in the womb, are responsible for this self-destructive thing you do. I suspect that some of these “positive, supportive, loving, and stable environments” you mention Katie, might have lacked much real connection between parents and children, with food, TV or electronic devices substituted. And also lacked guidance and discipline, which is needed for children to learn the skills for managing adult life – doing chores, budgeting, sharing space with others. If this is the case then yes, going out into the world is a big shock, which induces depression and can lead to addiction. Such children are not well brought up, but “spoiled”. But what IF, you are wrong about that? Your NEJM review was one of the most credible and convincing treatises on the learning vs disease model–I finally really understood it. Well done. This however is a bit problematic . Interesting observations yes and I believe are true. But too much speculation -without even implying cause and effect , in either direction . Thank you, Bill. Here’s what you’re missing: in real life (in nature) there’s no such thing as simple one-way causal influences. Almost anything that remains in existence, from a species, to a city, to a Jimi Hendrix guitar lick, to cancer, involves reciprocal causation or feedback. The cause and effect in my model are very clear, but they’re not simple. The addict’s behaviour narrows (causes to reduce in complexity) the relevant, available environment, while that environment continues to elicit (cause, partially) the addict’s behaviour. As for initial causes…this is a very difficult question. Because how, where, when do you define the starting line? This narrowing opportunities model also explains people who repeatedly form relationships with abusers. The worst substance I’ve been addicted to is sugar – but I’ve also been addicted to several narcissistic mummy’s boys. Also just been reading about Brodie Panlock, an Australian woman who took her own life aged nineteen, after being systematically bullied in the workplace by her manager, with whom she was also in an intermittent intimate relationship – and who, she kept hoping, would eventually be her “boyfriend”! If that’s not an addiction, I don’t know what is. I agree completely, Karen. Abusive relationships continue to contract opportunities for more enriching relationships, while they bolster psychological needs which become increasingly hard to satisfy outside the abusive relationship….basically because you’ve forgotten what else is available or lost the skills and confidence you might need to pursue it. Fascinating, April. Thanks for this perspective. I agree totally with this statement April. That’s why I’ve never had the urge to join any type of “support group” in my healing process, though I have had counselling. At some point you have to move beyond seeing yourself as a victim / addict / unwell person, and develop a vision of yourself as healed, whole, functional. I believe each person has the blueprint within them, and has to build it from the inside, in their own way. (I’ve never had a substance problem, but grew up with an abusive relationship habit.) I used to regularly attend a Catholic centre for Attitudinal Healing courses, but this is more general, something that anyone can benefit from (plus the leader was one-in-a-million, a nun, really clever and intuitive). But even groups like this can be dangerous – some are cults, taking advantage of the psychologically vulnerable. Marc, This ” narrowing” issue is indeed dealt with in hospital Addiction Programs, at least here in NYC. During one of my hospital stays for alcohol, they asked us all fill out a blank, hour-by -hour, 3-day-calendar-like form, with activities we would like t to do for the upcoming weekend, if we could. As a long time-active addict, it was simple to fill out..…just drink..hour-after-hour…. but it was a major and unforgettable “ah-ha” moment of how “narrow” interests and the unquestioned, “automatic activity” of engaging in life had become. You put in to words what they were doing, in effect. Although this “ah-ha”, was unspoken and private, it certainly contributed to the massive transformation from loving alcohol, to no longer loving alcohol. ( recovery). And an important note, “connection” is not for the sake of “keeping addiction at bay”. Recovery is when connection is an effortless choice again, even if you never connect. Hi Carlton. That’s a brilliant example of an extremely narrowed (relevant) environment. And notice how easy it is not to make choices when you do the same thing every day. This is, in fact, why Nora Volkow and her gang see decreased activity in regions of the prefrontal cortex. Judgment and decision making aren’t required at the moment. I don’t think I agree with your last point, but certainly connection becomes easier (if not effortless). To put it the other way, connecting with others is a long-forgotten skill after years of addiction. Tremendously rusty….effortful…and therefore perhaps needing the scaffolding provided by other people who are willing to go the extra mile. When Nora and the field-of-addiction do extensive study and research of people that recovered naturally, and former addicts that no longer need to rely on recovery programs and communities, a new understanding and a new model of addiction will become clear. As a mom of an adult son who has suffered with opiate addiction for 8 years I have a difficult time with the theory that it can all be traced back to early childhood trauma. My son grew up in a very loving home, had many friends and excelled in sports. There was no indication that he would have substance abuse difficulties later in life. Due to injuries in his mid twenties he was prescribed OxyContin and told me it became his magic pill. He was a wonderful father who worked hard and his world came crashing down when he was cut off and he went to the streets to buy his drugs. He tried in house treatment, 90 day treatment and half way houses. He would do so well, only to relapse. He often met with councillors who would try to understand his motive and go back into his childhood looking for answers. As a mom I continue to ask myself if there was something I did wrong and carry guilt. Is it really that helpful to try to find trauma that perhaps isn’t there. Could someone not be just so heavily addicted that they may need prescription heroin for the rest of their lives? In Vancouver I hear that their are about 100 people on a trail and I have come to believe this may be the answer for some people like my son who have tried in ernest to stop the pain. No, I don’t think that early trauma is always a causal springboard. Not at all. That’s not what I said. (Gabor Mate endorses this view much more strongly.) But early trauma, of many varieties, IS predictive of later addiction. That’s saying something entirely different. It increases the probability. That’s all. Unusually difficult emotional or social experiences any time in childhood or adolescence also predict to later negative consequences, including addiction, school dropout, marital dysfunction, unemployment…there’s a host of related outcomes. Again, this is a question of probabilities all the way along. And it has been verified by many studies. There’s no point disputing it. Can people who’ve never experienced excessive socioemotional difficulty become addicted? Probably…but I think it’s relatively rare and the intensity/duration of the addiction is likely to be far lower. Let’s not forget that the environment doesn’t stop being a factor in late adolescence or adulthood. It continues to mold behaviour, and as per my article, it can continue to narrow opportunities. Let’s also be clear that the injury-medication-withdrawal sequence is itself traumatic! Opiates don’t cause addiction, but they make good candidates for addiction for the simple reason that they soothe psychological stress or anguish. Of course one of the insidious issues with opiates is that quitting is itself stressful. Unconditional love is the key: people around them accepting them for who they are, along with their active, but CONTROLLED addictions. I also recommend that you read Mark Wolynn’s book: “It didn’t start with me” which documents how trauma is inherited via our genes and epigenetics. (Some years after my mother died, I discovered a great grandparent who was an alcoholic. It helped me understand why 4 of us – me with alcohol, my younger brother and two cousins – all heroin addicts and all of whom died from their addiction – brought up in Norway in much more secure environment. )For me, it was my family and especially my son who made me see I really needed to end the helplessness, deep depression and anxiety which excess alcohol misuse caused. I wish you and your son peace: I hope he can find something/someone which gives him real purpose and hope. Thank you Annette. It is so difficult with Christmas coming and his need to isolate because of his shame and guilt. We have shown time and time again that we love him unconditionally, but have no choice but to remain hopeful and wait for him to reach out. Cheryl, as a man who became a heroin addict in his late teens but comes from a loving affluent home, raised by highly functioning, wonderfully benevolent parents, I’d love to chime in. I am a fan of Gabor Mate’s work and the early trauma theory helped me even though I originally thought it didn’t apply to me. I have come to define trauma as anything that interrupts the healthy attachment process in childhood. And, yes, by this definition, everyone has experienced trauma. But obviously, not everyone has debilitating addiction issues. But there is another important piece of the puzzle, and this is sensitivity. Most people that I encounter with drug addiction problems (me included) are very emotionally sensitive–they feel deeply. Add this genetic trait to any emotional experiences that alter the ability to connect to life in a totally healthy way and the path can be paved for addiction problems. Certainly, it doesn’t need to be classic trauma, nor is it the fault of anyone, parents included. I think that your inherent feelings of guilt are not warranted thought they do hint to the fact that you may be a good mom. I just wanted to point out that sensitivity probably plays an important and general role within the trauma theory. (Incidentally, I was a homeless heroin addict in my early 20s but have have been successfully free of addiction for 23 years, so don’t lose hope). Thank you for sharing, Eric. It is encouraging to hear your story, especially that you are now 23 free. I believe I was a good mom and through therapy myself have come to understand that I did not create his substance disorder. I’m not sure how you can quantify emotional sensitivity, and say that you “feel more deeply” than the rest of us. Karen, I wasn’t making any claim that I, personally, feel more deeply than the rest of anyone. I was only pointing out that the genetic trait of sensitivity may play and role, possibly an important one, in combination with other factors, in both active addiction and the healing from it. Of course sensitivity is difficult, if not impossible, to quantify, but it’s an important part of the subjective experience associated with being human. I hope that clarifies. I hear several implications in the statement that somebody is “very emotionally sensitive”: 1. Others are insensitive; 2. Sensitivity is a fixed characteristic that can’t be changed 3. Sensitivity is indicated by overt, obvious displays of emotion. So it becomes a self-perpetuating state, and can be used as a stick to beat other people with. “Genetic trait of sensitivity”?? I’d like to see data that support the notion that a) sensitivity can be quantified sufficiently to study its genetic linkage and b) that it’s a unifaceted*, linear characteristic. None of this goes against Eric’s comments. Words are tools that both communicate and shape experience. I often hear people talking themselves into various emotional states; it has a circular quality. I don’t like the term “sensitivity”, and I don’t use “trigger” either. Both words imply that one has no choice or agency, and also that feelings are the fundamental feature of the psyche. Feelings are a surface thing, like weather – they come and go. The underlying psyche is a landscape, made up of patterns and beliefs, which influence and are influenced by the weather. In my own experience, this landscape can be changed. It’s not easy, and it takes time and persistence. This is the neuroplasticity Marc refers to, and somewhere I heard the term “self-directed neuroplasticity”. Beliefs and psychological habits can be brought to conscious awareness, questioned and modified. Marc also notes that a sense of self-efficacy is a very good thing. You seem to be suggesting that sensitivity is both a curse and a blessing, and I would agree. Most psychological traits are both, and can be used to advantage, or not. Reality is only a theory. *unifaceted is a word I have just invented; the opposite of multifaceted. was actually the critical change. Once feelings change, there is no longer need for strength, control, or “maintaining” distance , or sobriety. For instance, say your feelings change for a band you love. If your feelings change, you will no longer have to fight, wonder, or ponder about going to a concert. This can be true with addictions. It has not been studied or researched much, but it points to a new definition and model of Addiction that is something other than being a disease, disorder, choice, etc. MOODS come and go, but feelings for things that are deeply loved, can be unchanging and for life. Life-long feelings for someone, despite everything, is universally valued and understood. Life-long feelings for an addiction despite everything, is currently perplexing and troubling, and considered a disease or disorder. But seemingly life-long feelings can change too. Most people can think back and remember a time being blindly and irrationally head-over-heals in love with someone or something.. and yet these seemingly unchanging feelings DID change at some point. In the same way, seemingly life-long feelings for an addiction, can change. OK well I would argue that the feelings / moods are supported by the underlying psychological landscape of beliefs and emotional habits. But that’s maybe getting into semantics. To me the important thing is that these things are not unchangeable; we have agency. Oh and also – in my experience, words are very powerful tools in this shaping process. Karen, I will briefly respond to the assumptions you derived from my comment, but let me start by saying that in reading your comments I have the feeling that we would agree far more than disagree about these matters. None of the assumptions you made were points I either made or would agree with. I don’t think any human is insensitive, sensitivity is an important shared human (and other animal) trait necessary for gathering information and using it to survive. While I do think that sensitivity may be somewhat “fixed”, our relationship to it can change as we learn about its mechanics and ultimately change our relationship to our reacting to the information it seems to be giving us. To your third point, I don’t think sensitivity is necessarily connected to emotional displays, whatever. I totally agree that the point is to learn not to be triggered, but this is often something that has to be learned. I used to be seemingly ruled by my reactions and had to learn to find the space between stimulus and response, a nuanced process that has taken years and is ongoing. I do a lot of work as a therapist, along these lines, with my clients with and without addiction issues. Lastly, while I do think that sensitivity is genetic, I certainly don’t mean to imply that genetics are the only determinants. Certainly environment plays a part, possibly an equal one, I hope this clarifies some. Best to you. The ivory-tower scientists can keep trying to separate and weigh the different contributing factors. I guess the important thing for me is that one has agency, ownership of the process, whether the original issues arose in childhood or later. I fear words like “sensitivity” and “disease” can take this away. My parents systematically destroyed my resilience, as their parents probably did to them. I rebuilt it as an adult. I had help, but my counsellor and other spiritual teachers didn’t treat me as diseased, or a helpless victim of childhood circumstance, or the genetics of “sensitivity”. 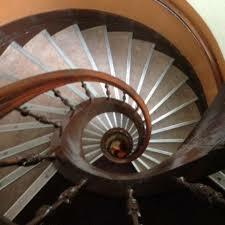 I quickly began to feel that I have a blueprint within me for my own healing and wholeness. I guess parents can have the best will in the world; our society doesn’t provide great support and protection for families and children, in the development of these abilities, to respond instead of reacting to emotions, etc., which could collectively be called resilience. Money, material wealth, competition and “winning” are emphasised, instead of connection and relationship, which are the scaffolding and shelter needed to develop resilience. Marc, before I left SMART, a brand new “tool” was introduced titled: HOV, or, Hierarchy of Values”. It does not “fix” anything, but can help a person help themselves to recall and even re-align with natural “triggers” that may have been eclipsed by the blinding love for the “triggers” of an addiction. ACT also emphasizes values. I find this fascinating. After two years in boarding school, a move to California, my parents’ breakup, my brother’s move to join a religious sect, and my own immersion in Berkeley drug culture, I had lost all sense of what my values were or, more precisely, whether I had any. Marc, good point, perhaps SMART meant this for people already into the recovery process? BTW-The “Aha moment” is not the list itself, but afterwords, when a person realizes they did not put the ADDICTION at the top of the list, the one thing they valued and cherished most at the time. Marc, great article as usual. (I was sorry to see a typical 12-step argument feed up there in the comments, usually that doesn’t happen in your blog comments). I love the connection you made to the early life “narrowing” effect and how it is magnified during acute addiction. It reminds me of the discussions surrounding mental health that put it on a continuum from chaos to rigidity, with both ends representing forms of mental unhealth. And addiction is a fine example of rigidity–an unconscious but desperate attempt to create a predictable and safe emotional experience of life. I am further reminded of the default mode network and it’s role, in this regard. I know that my own pursuit for wholeness (that led to my own severe addiction problems) were caused by early reactions to pain that I endeavored to protect myself from. And recovery has always been the process of opening, widening my ability to experience, contain, and transform pain into opportunities to grow. Along the lines you illustrate, I used to attempt to narrow my emotional experiences so that they would be tolerable, and now, I am able to experience a wide landscape of emotions–even the really painful ones. That’s really the biggest difference between my “addicted” life and my “recovered” life. My addiction patterns only seemed to be about the drugs I used, but they were, of course, about the feelings that created a need for the relief I found through their use. Hi Eric. For a long time I’ve believed that anxiety is the emotion that motivates all voluntary behaviour. All the negative emotional states — fear, loss, loneliness, shame, guilt, depression, etc, even anxiety itself — are anticipated before they are fully felt. Anxiety is the emotional tone of that anticipation. Anxiety, by it’s nature, causes us to pull in, hold back, withdraw to a safe place, etc — hence the narrowing. Drug use is sort of an analogue of vigilance — a defense against what painful feelings MIGHT arise without the drug. Vigilance is rigid, the opposite of flexible. So indeed being ready to just allow negative emotions is the cornerstone of an expanding landscape, a bursting open of possibility….and yes, the gateway to recovery. Thanks for this, Marc. So insightful, and the thread is very informative too! I agree with you on the early childhood trauma and its effects. Many baby-boomer families moved away from their roots, to pursue careers and help governments build new economies post WWII. That meant there wasn’t the wider family to help out when there were inevitable problems. Kids in those homes (like me and my brothers) suffer, because there’s no close relative to help us understand the chaos of family life. Next, we must look at the parent’s relationships with each child: my younger brother was the scapegoat, undeservedly so, so he became depressed at 10, and started smoking marijuana at 12. At 16, he went to rehab, and by 18, he was on heroin. So genes, epigenetics and each parent’s treatment of the individual child AND childhood events. Children ignored or abused lose self-confidence and become very anxious. Other children pick up on this and they often become scapegoats in wider society. I wish there was a legal requirement for all parents to attend parenting classes before they have children. This is where the importance of love, time spent with children, and finding ways to cut down, or quit our addictions would be so useful. Hi Annette, These are very useful observations. The impact of lost self-confidence (or its absence from an early age) can’t be over-emphasized. Self-confidence makes all the difference between trying something new and retreating to the known. And yes, anxiety is pretty much the defining feature of what’s left without it. See my reply to Eric above. I’ve been listening to people for 25 yrs. I worked in a hospital ER and mental health unit. I’ve worked in outpatient, with mandated populations, shelters and as an advocate for medicaid populations. I’ve met many different kinds of people with many different addictions, at many different levels of addictive destruction. I’ve had my own addictions in life, had family addictions, and seen them in my kids. 1) I believe addiction is a NOT a disease. I’ve listened across socio-economic and cultural backgrounds, years of careful observation and listening. What I hear is that Addiction is a human condition. 3) I’ve been targeting the teen years, emergence of the early adult brain, where memories are made at the fastest pace in our development….this is where the human voice of addiction emerges. As to how much power the voice of addiction has, and how quickly it takes power, is based on life experiences… and it can gain power at anytime in life. At least this is what I’m learning from listening to people from ages 20’s to 70’s. It’s where most of us still live in life, the teen brain, with the “life scripts” we created at that time, often 1-5 sentences that dictate our thoughts and often tie to our addicted voice. 4) How does society play into our voice of addiction? In the teen years, you have 2 paths in society, either conform or rebel to society rules. The emerging voice of addiction picks a path. Maybe a kid that has been neglected and lived in poverty might be more likely to chose the “rebel” path, but I’ve worked with families where there was “support, love ,encouragement and values” and the kid took the rebel path. Why? He/she just didn’t want to confirm. 5) The problem I have with AA/NA, through history it made drugs and alcohol “different” from other addictions. I think it ironically brings on more judgement and stigma. And by all means use it if it works for you, but don’t feel forced to use it as many people tell me they feel. Also, many people have social anxiety and there are many introverts out there, and AA/NA often works better for the extroverted Americans who love to talk in groups. Great post! We must also put some blame on culture and how it influences the path teenagers take. The glamorizing of alcohol and drugs in media is a huge detriment to our children. I grew listening to heavy metal and watching spring breakers having a seemingly good time on MTV. Add an overprotective father and dead mother to the mix combined with all the popular kids doing it in a town that is the home of Miller brewing company, I guess I’ve been hard on myself because the odds were stacked against me. Yep, these life scripts are laid down in the teen years, or the very early twenties, and they are tremendously hard to get rid of. They’re powerful, relatively simple, and deeply entrenched. As you say, it’s how they interact with one’s social environment that directly forges our developmental journey. When I was 18, I got “support, love, encouragement, and values” from a group of three drug-using bisexuals who were essentially married to each other and for whom heroin was a kind of sacred ritual (sort of good and evil combined). Given my predilection to be a bad boy, this was a potent match. Thus begun roughly ten years of nearly continuous drug use. yes indeed…. and people are told in treatment to “just get rid of those bad influences” but it’s not that simple, nor should we judge. Friends that develop in teen years and young adulthood, often can be real acceptance in young life….especially for the “different kid”, creating a sense of status, and power…and identity…..something that always stays with you and molds you into the person you are…regardless of how you got there, good, bad. I know it was for me. Being a counselor allows me to stay with the rebels. The rebels might be “troubled in society” but what I find is they are very real, smart, and often see the truth about the emptiness of society. It helps greatly, to have been a former ‘addict’ although I prefer alcohol/substance misuse, as it’s more descriptive and less stigmatising. I know whatever happens in my life, it’s so much easier without any dulling substance. I think the direction for a better society is to “recycle” the rebelliousness to improve society…and bring more truth that we can all live with…..openness…. I’m working on helping these young adults see how they can do this…reinvent the rebelliousness….for they have the ability to be great leaders…. I think I know what you mean about peaceful conflict. I often find myself there as well, and you’re right, it becomes a mecca, a place to go to from where everything else is seen more clearly. And true about the rebels. I know some of them myself, and they teach and inform we while I try to help them slow down and take care of themselves. Just say “No” to drugs – Good luck with that. become automated. here in somalia we have stimulus called Khat that have been a kind of cultural in its early of the nineteen century. it caused problems in the society, economy, low and order and other spheres of the life. the analogy of narrowing brain activity have a narrowing environment activity has its merit in the somali context, because people who use Khat have disconnected in every aspect of their environment. in somalia there is no government or organisations or billionaires who tackle this problem, so people have got awareness of the problem and voluntarily quite with out medication or clinical or pharmaceutical drugs to deal the issue. As many have pointed out, the pathology of addiction is informed who gets “studied.” I think we (at this blog) all accept that addiction is some kind of spectrum “disorder/learning disability/syndrome.” Clinicians generally do not see the people on the “lower” end of the spectrum because those folks recover with less intervention (ageing out). In the most recalcitrant addicts (like me), the disorder looks more pathological, i guess because the habits are more deeply ingrained in the neurology. I think it’s worth looking at a characteristic of these addicts: chronic self destruction. It’s not just that they continue to use…they use even as things get worse and worse. As addiction deepens, most people get to a point where they just don’t want the pain anymore. But the long term addict has a bizarre capacity for pain. Part of the unfair criticism of AA stems a simple fact: that method was never really “for” folks who were going to age out. It was for the people who use for decades, something you can do with alcohol (less so for opiates etc obviously). When the medical community and legal community began to recommend AA for ANYONE on the spectrum, the damage set in. If you read the original “big book’ carefully, the authors actually hedge their bets as to calling alcoholism a disease…they use a lot of other terms. I accepted the disease model when i got into treatment at age 50 and I accepted it in the long term “halfway house” where I learned how to live without intoxicants. It helped somehow, even though I can now see that basically I learned to “rewire” my brain, to navigate life without the comfort of intoxicants, to manage emotions in new ways. But I wonder if it’s not a good idea to look at the issue of deep hopelessness in long term, recalitrant addicts…what might neurology teach us about the brains of the 45 year old chronic addict as opposed to the 26 year old who’s early on the path? And it seems to me like different brains would need different treatment approaches…for instance the so called “trash can” addict, who will use ANYTHING to crazed excess, is clinically a different type than the person who struggles with a single set of substances.